Thank you to all the parents who helped set up and helped clean up after the banquet; as always, it was a first class event. Gabe Nelson ran for 167 yards on 15 carries, with one touchdown. Slyvandan Stewart had a rushing touchdown. The Pirates lost to Whitehouse 43-45, bringing the 2018 record to 4-4 (2-3 in District 9-5A). JJ Sparkman had 6 catches for 128 yards and 2 TDs. Keshon Williams ran for 105 yards and caught 2 passes for 85 yards scoring 2 TDs. Nick Williams intercepted a pass. Gabe Nelson ran for 129 yards on 15 carries. DJ Freeman ran 1 TD and threw 3 TDs. Jayden Smith led the defense with 10 tackles and a forced fumble. Pine Tree will travel to Lindale. Lindale comes into the contest with a 5-3 record, (4-1 in district 9-5A). The Pirates fell to the Nacogdoches Dragons 42-43; bringing the 2018 record to 4-3 (2-2 in District 9-5A). JJ Sparkman had a big night with 8 catches for 205 yards and 2 TDs. Jayden Smith and Colton Munoz both lead the defense with 9 tackles each. Corey Thomas was 9 of 12 passing with 1 TD in the pouring rain. Gabe Nelson ran for 105 yards on 20 carries. Keshon Williams ran for 2 Tds. Davon Coleman intercepted a pass. Pine Tree will travel to Whitehouse to take on the Wildcats. Whitehouse comes into the contest with a 5-2 record, (3-1 in district 9-5A). - Dakota's constant improvement and work ethic showed up this past week as he playe dhis best game yet. - Nick had 7 tackles and 2 sacks this week. Friday 10/12/18 7:30 - Varsity vs Jacksonville at Rose Stadium, Tyler Tx. Last Week Recap: The Pirates defeated the Mt. Pleasant Tigers 55-50. This brings the 2018 Pirates record to 4-1 (2-0 in district 9-5A). Gabe Nelson ran for 278 yards and 2 touchdowns. He also caught 2 passes for 20 yards and a touchdown. Keshon Williams caught 3 passes for 64 yards and scored a rushing touchdown. DJ Freeman ran for 197 yards and 2 touchdowns on only 12 carries; 9 of 16 passing for 140 yards and 2 touchdowns. Gabe Adams had a great catch for a touchdown as well. The Offensive Line: Bailey Hughes, Alex Thornburg, Jadarlon Key, Hayden Shelton, and Javae Writt played a great game leading the Pirates to a 478 yard, 5 touchdown rushing attack. 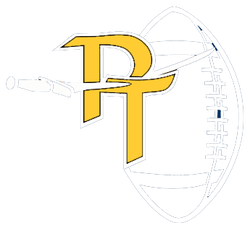 This Week: Pine Tree will travel to Rose Stadium, Tyler Tx to take on the Jacksonville Indians. Jacksonville comes into the contest with a 1-4 record, (0-2 in district 9-5A). - The Offensive line paved the way for 478 yards rushing and 5 touchdowns. Friday 10/5/18 7:30 - Varsity vs Mt. Pleasant at Pirate Stadium. Last Week Recap: The Pirates opened District 9-5A play with a 55-35 win over Hallsville moving their record to 3-1 (1-0). DJ Freeman had a huge night with 7 of 10 passing for 130 yards, and 10 carries for 160 yards, 4 total touchdowns. Gabe Nelson ran for 180 yards and 2 touchdowns on 20 carries. Jose Vasquez connected on two FGs, and converted an onside kick, recovered by Nikema Williams. Davon Coleman caught three passes and had an interception returned for a touchdown. Courtney Stitmon also intercepted a pass. Davarian Malone led the defense with 12 tackles, 1 pass breakup, and a fumble recovery. This Week: Pine Tree will host the Mt. Pleasant Tigers for the 2018 Homecoming Game. Mt. Pleasant comes into the contest with a 2-2 record, and a 0-1 district 9-5A record. - DJ accounted for 290 yards and 4 touchdowns. Tuesday 9/25/18 5:30 - 8th Grade B Team will play Sulphur Springs at Sulphur Springs. 7:00 - 8th Grade A Team will play Sulphur Springs at Sulphur Springs. Friday 9/28/18 7:30 - Varsity vs Hallsville at Bobcat Stadium. This Week: Pine Tree will travel to Hallsville to take on the Bobcats to begin District 9-5A play. Hallsville comes into the contest with a 3-0 record. The Pirates beat the Kilgore Bulldogs 38-28, bringing the 2018 record to 2-1. DJ Freeman completed 6 of 12 passes for 187 yards and two touchdowns, he also rushed for two touchdowns. Gabe Nelson finished the night with 169 yards on 22 carries. Jose Vasquez nailed a 47 yard FG to put the Pirates up 10 in the 4th quarter. Gabe Adams returned a kick-off 95 yards for a touchdown. Keith Wright, Davarian Malone, and Tim Short all had great nights on defense. Thursday 9/13/18 5:00 - 8th Grade B Team will play Kilgore at Pirate Stadium. 6:30 - 8th Grade A Team will play Kilgore at Pirate Stadium. 5:00 - 9th Team vs Kilgore at R.E. St Johns Memorial Stadium, Kilgore TX. 7:00 - JV Team vs Pittsburg at R.E. St. Johns Memorial Stadium, Kilgore TX. Friday 9/14/18 7:30 - Varsity vs Kilgore at Pirate Stadium. The Pirates lost to Pittsburg 27-16, bringing the 2018 record to 1-1. Gabe Nelson had another big night leading the offense with 144 yards on 22 carries. DJ Freeman completed a TD pass to Davon Coleman and also ran in 1 score in the first half. The Defense was led by Nick Williams and Timothy Short who both recorded 8 tackles each. Davon Coleman caught a TD, Intercepted a pass, and had 3 pass breakups on defense. Pine Tree hosts the Kilgore Bulldogs this Friday Night. Kilgore comes into the contest with a record of 0-2. All IN award winner was Senior LB/TE Timothy Short. Tim is a Captain for the 2018 Pirates, he played a great game on both side of the ball last Friday night, while also playing on several special teams units. Player of the Week award winner was Senior FB/TE Keshon Williams. Kehson carried the ball well, but won player of the week because of his effort at FB on offense. Thursday 9/6/18 5:00 - 8th Grade B Team will play Pittsburg at Pirate Stadium, Pittsburg, TX. 6:30 - 8th Grade A Team will play Pittsburg at Pirate Stadium, Pittsburg, TX. Friday 9/7/18 7:30 - Varsity vs Pittsburg at Pirate Stadium, Pittsburg, TX. The Pirate opened the 2018 season with a 63-40 win over the Bullard Panthers at Pirate Stadium. The offense was led by Gabe Nelson (9 Carries for 129 yards and 2TDs), Gabe Adams (2 Rec. 120 yards and 1 TD) JJ Sparkman and Davon Coleman both had two touchdown receptions each. Quarterbacks DJ Freeman & Corey Thomas both had great nights. DJ threw 4 touchdown passes and Corey had 1. Kobi Thomas recovered a fumble for a defensive touchdown, & Nick Williams had an interception as well. The Pirates travel to Pittsburg to take on the Black and Gold Pirates. Pittsburg comes into the contest with a 0-1 record. They are coming off of a tough loss to Jefferson in their opener. Pittsburg has a talented football team led by a three year starter at QB and a WR with several D-1 offers. - Jayden plays many roles on the team, and is always ready to do whatever it takes to win. - The Pirate offensive Line paved the way for a huge night offensively, Hayden had a great game. the JV & Varsity began on August 13th. Energy and Effort have been great for the past two weeks, we are excited to get to hit someone else this week. for feeding the boys during practice last week. Their work was truly impressive and appreciated by all the players. All Junior High Pirates will begin football this week, with school beginning on Monday, August 20th. The 9th, JV, and Varsity Pirates will all scrimmage Tyler Lee this Friday, August 24th at Pirate Stadium. The 9th & JV will play simultaneously at 5:00 PM. The Varsity will begin at 7:00 PM, with a controlled portion then they will play 2 live quarters. The Junior High 7 on 7 league finished up at the end of May. The league consisted of PT, Longview, Gilmer, Tyler Lee, Spring Hill, and New Diana. Incoming 7th, 8th, & 9th graders all competed well for the Pirates. The incoming 7th graders got their first taste of 7 on7 and competing as a team for the Pirates, this group should be fun to watch in the future. Incoming 8th graders had a great showing winning most of their league games and getting plenty of kids playing experience. The incoming 9th grade group started a little slow, but finished the league up going undefeated the last week of play. The Varsity Team traveled to Gilmer and won the Azalea Orthopedic 7 on 7 Tournament. They started the day with a big win over Spring Hill. Then dropped a non-pool play game to Lindale in a close one. The Pirates finished off the day beating Tyler Lee and then Paris in the Championship game 40-20. The Pirates, fresh off of the Spring Game showed a ton of guts to finish off Tyler Lee and Paris. The Varsity and JV are competing in the Longview Area league on Monday nights at Lobo Stadium. The League consists of Pine Tree, 2 Teams from Longview, Tatum, Hallsville, and New Diana. The remaining nights to play are June 18th and June 25th, come out and watch the Pirates! This past weekend the Pirates competed at the Tyler SQT. After opening the day with a big win over Marshall they fell to John Tyler and then lost the last one by 2 points to Kaufman, who went on to win it and qualify for state. The first week of FAST Camp is in the books for all Pine Tree Athletes. We have seen a tremendous boost in participation numbers of football athletes as well as all other sports. The workouts are on Monday, Tuesday, and Thursday mornings. All athletes are showing up and working really hard to have a great 2018-2019 year in sports for the Pirates. Thank you to Drew & Heather Seidel, Amy Jane Bonamy and Jamie Lane for setting up and decorating; as always, it was a first class event.